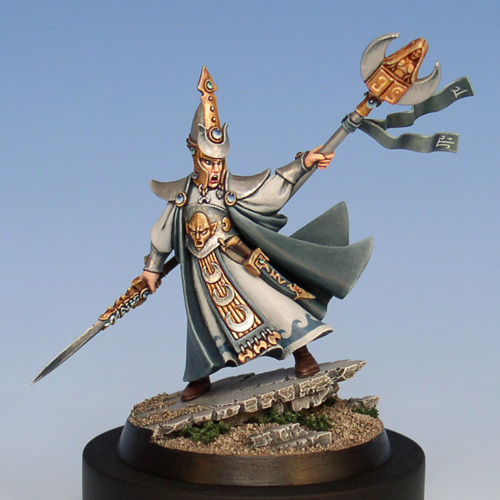 This is my interpretation of the high elf arch mage Teclis. I brought him to Golden Demon UK 08 where he made it to the finalist cabinet but didn't get into top 3. I am repainting a few of the areas and adding a few extra sculpted detail, so look out for the final version. In the meantime, here is the CMON-link for this version: www.coolminiornot.com/208762.